I don’t like aspirational purchases, especially ones related to my business. I’m not one to spend money on something that “I swear I’ll learn.” There are so many great software and technology options available today to supercharge what we do as architects and designers. But we don’t have time for all of them. As ARCHICAD users, mastery of ARCHICAD is more important than any other software skill and must come first. Whenever I see something cool or exciting outside my critical path of doing great things with ARCHICAD, I remind myself: “this will just be a toy. I don’t have time. Focus on ARCHICAD and don’t waste money.” That mantra keeps me from squandering resources on things that will never get used. I barely have time to practice architecture, conquer the latest ARCHICAD features, and share all of that via writing and videos; I can’t add more without dropping something. However over the last few months I broke my rules. I made two aspirational purchases. I have a GRAPHISOFT branded Google Cardboard VR viewer. They’re good. But they also make me hunger for more. 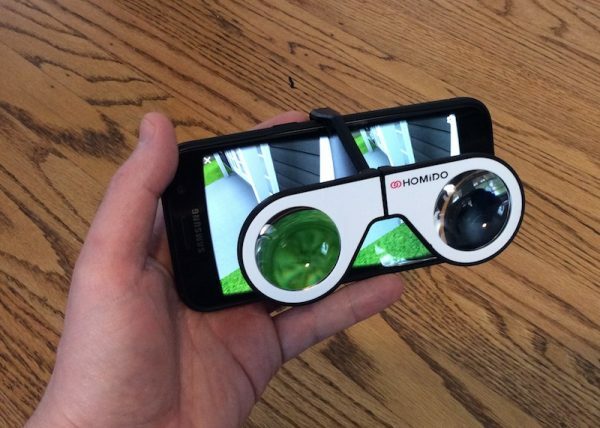 Last week I purchased a Homido Mini. While not the best viewer, clip-on VR glasses that fold up to fit in a pocket or laptop bag are ideal for always having VR near at hand. I am also going to purchase a more robust VR headset, one with both IPD (so that the lenses can adjust to better fit the viewer’s eyes) and enough space for a client to wear his or her glasses. I haven’t found exactly what I’m looking for; there was a viewer by PowisVR that met this criteria, but it’s off the market. When they release a replacement, I’ll buy it immediately (I check their website daily)…assuming I haven’t already purchased a different viewer. Buying multiple VR viewers felt like an aspirational purchase when I started this post, prior to sharing the BIMx + VR experience with between fifty and a hundred people at multiple events. Now as I proofread, owning multiple VR goggles is no longer aspirational. Access to VR feels like an obvious and essential decision. I know that I’ll show models to clients in VR from now on. It’s so simple; navigation in BIMx is much easier and more natural in VR than on the desktop viewer or via the touch screen of a phone or tablet. Doing BIMx in VR requires nothing extra from me. I am already making models in ARCHICAD. I am already sharing those models with my clients via BIMx. Using VR is just an extension of what I am already doing; it is effortless. My other aspirational purchase isn’t so effortless, or inexpensive. 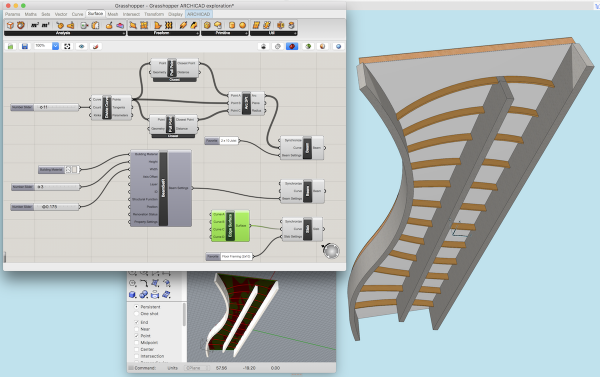 In late December 2016 I downloaded Rhino with the intent of learning enough about Grasshopper to get value out of the Grasshopper-ARCHICAD Live Connection. I could have just downloaded the 60-day trial, but I bought Rhino for Mac. I went all in. I wanted to have skin in the game and pressure to live up to my goal. Grasshopper and Rhino are the first new modeling software I’ve focused on learning since I began using ARCHICAD so many years ago (2006, ARCHICAD 9). I have always considered learning new/different modeling software as something with a high opportunity cost. It reminds me of being a teenager with the opportunity to learn the upright bass. I have been a bassist for over 25 years—my parents bought me my first electric bass when I was 9. When I was in high school, I had access to an upright bass. For almost four years, I had one in my house. I took a few months of lessons, focusing on bow techniques and general upright concepts, but I was always confronted with a simple conundrum. How should I spend my limited amount of time? I was new to the upright bass, but had been playing the electric bass for years. I could focus on the upright. I would then be an okay or good upright player. Or I could spend that same amount of time on the electric bass, going from good to great or good to super freaking awesome. What did I do? I chose the latter. Partially this is my personally. Given variations of this choice throughout life, I always choose the latter. I know had I focused on the upright, my electric skills would have improved; just like I can fake being an upright player or guitarist because of the cross pollination of being a long time electric bass player. But I found it wiser to focus. This is has been my philosophy with ARCHICAD since the very beginning. I can’t be an international expert in every software. But I can be with one. The Grasshopper-ARCHICAD Live Connection breaks that clean paradigm. Being an expert in ARCHICAD now means also being conversant in Grasshopper. Assuming the connection between these programs grows (and I have no reason to doubt that), I must learn Grasshopper. My old solutions will become superseded with new workflows that take into consideration improved tools. Soon I will have people asking/expecting me to be knowledgeable in Grasshopper because the tool will be integral to the ARCHICAD ecosystem. 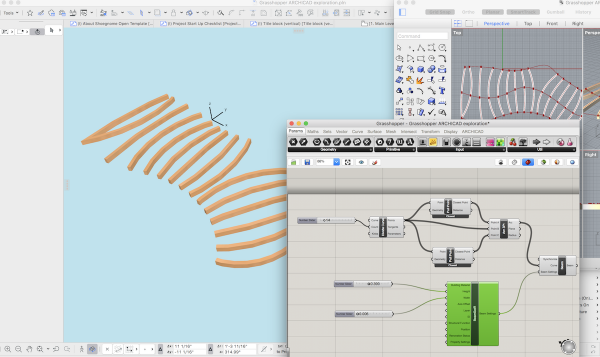 I don’t know why I need the parametric design capabilities of Grasshopper for my own projects (after all I’m a residential architect doing small, low fee projects), but I’m going to find out. 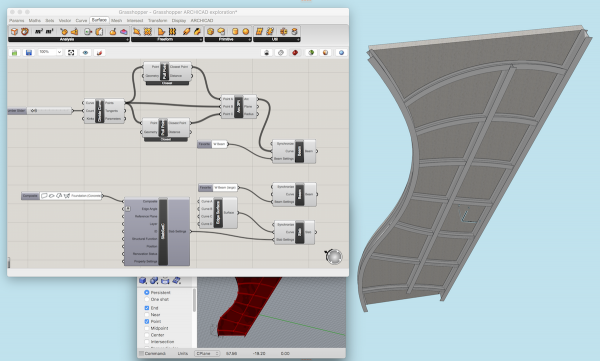 I see huge potential in Grasshopper now that it can connect to ARCHICAD. But I don’t know what I want to do with Grasshopper. Quite frankly I don’t know what it can do. And I don’t know how to think in the program. Right now if I see a design challenge, I typically know how to figure it out in ARCHICAD. It might be an automatic solution; it might be a manual solution. Or most likely it’s a semi-automatic solution; using ARCHICAD’s intelligence to automate what I can, and then applying my own creativeness and experience to brute force the rest in the most clever manner I can. What problems does the Grasshopper-ARCHICAD Live Connection solve? This amalgam of automatic, manual, and semi-automatic solutions works for me because I’ve spent a lot of time focused on understanding how to use ARCHICAD. By unraveling how the program works, I can problem solve easily in ARCHICAD. I know the limits of the software. I know how to figure out a solution to a problem and also know when I’ve reached a dead end. I have an intuitive sense of whether there is an automatic or manual solution. I’m not perfect and we all have blind spots, but this knowledge serves me well. I’ve also spent enough time talking and listening to the developers that I have a strong grasp of why the underlying logic is the way it is. With Grasshopper, I’m dumb. I don’t understand its logic yet. I don’t know what the common pitfalls and blunders are. When I fail to create an element or script in Grasshopper, I don’t know if the problem is a shortcoming of the program or me doing an ameteur move—like picking the wrong tool or connecting the wrong nodes. I have no clue what the technical limits of Grasshopper are. I don’t know if my failures are one tweak away from success, or completely wrong. 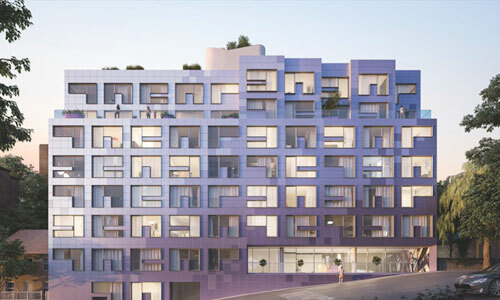 What potential does the Grasshopper-ARCHICAD Live Connection offer? Twenty plus years ago I taught myself the basics of 3D Studio Max v4. My brother acquired a copy of the software for me and we bought a book. There were no online forums because there was no online at the time. I learned the aspects of the program that interested me: I could create a weird shape and morph it into another shape. I also modeled a lot of curvy spaceships. I got really good at a few functions, but stagnated. There were huge swaths of the program that I had no understanding of. For a brief moment, I loved using the software; I treated it like a game. But I had no long term purpose. My motivation waned. I was learning the software in the pre-internet days when printers were low-res behemoths that couldn’t do much more than print black text on continuous form paper. My ideas lacked vision and had no venue for output or sharing. I like sharing. I’ve always liked sharing. While my usage of 3D Studio Max v4 came to naught, the way I learned was a solid concept. Learning was fun. To conquer Grasshopper, I’m treating it like a game. I am not trying to create anything specific. Each time I use the program I attempt to do something new, different, and fun. I want to sit down and enjoy using Grasshopper for fifteen or thirty minutes. Each evening I use Grasshopper, I expand on what I learned previously. I typically explore at night, often on the couch or in bed (thanks fancy laptop! ); rarely do I use it during billable daylight hours. I’m trying to become fluent in the program to the point where I understand its logic. I pick a feature and play with it, with only the short term goal of being able to use that one feature—creating arrays or vectors, using randomness in sliders, etc. I want to be able to speak Grasshopper so that when I do have a design challenge, I’m not limited by my inability to use the program—or more importantly problem solve. I don’t need to know how to do everything; I only need to know enough to ask the right questions and search for the right holes. I need to understand the known unknowns and known knowns. I need to be able to speak the language of Grasshopper. As I explore Grasshopper, there are a few nebulous questions I’m thinking about. How can I do regular geometry? How can I automate and enhance what I’m already doing? Learning how to create weird curves is fun. But that’s not what my work is; or where my design interests lie. How can I eventually use Grasshopper to design rectilinear forms? Complex trellises and shading devices? Floor plans that evolve or roof configurations that are made out of standard materials that any framer in Seattle could build with the aid of clear and beautiful construction documents. 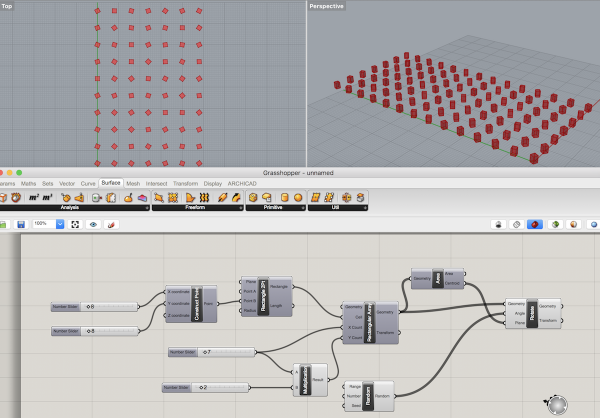 I am interested in how Grasshopper can help me create “boring stuff”. But that’s phase two, which I’m not ready for. And that’s still just a stepping stone to phase three: analysis. From what I’ve heard Grasshopper can do some super cool analysis of models. I would love to acquire enough knowledge so that I can build models in ARCHICAD and send them to Grasshopper to be dissected. This would allow the final geometry—which might still all be done in ARCHICAD—to be inspired by and react to invisible forces I can’t model in ARCHICAD. Grasshopper Getting Started By David Rutten – These thirteen short videos are super helpful. I completed the exercises in all these videos then tried to connect the Geometry to ARCHICAD. I highly recommend you do the same. More Tutorials – The videos from David Rutten came from this page, so I assume the other recommendations are really good too. Rhino for Mac Videos – I haven’t watched these yet, but they look like a good way to learn more about modeling in Rhino directly. 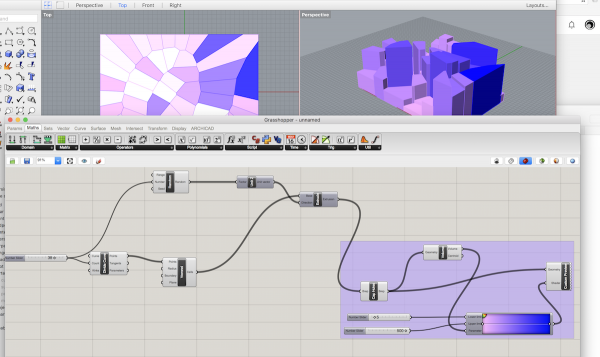 I assume learning how to model in Rhino will help me understand the logic of creating similar geometry in Grasshopper. 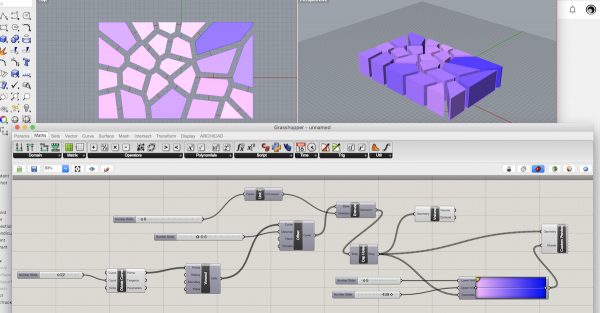 I imagine exploring Rhino is like learning the logic of ARCHICAD modeling to make GDL scripting easier. Grasshopper Forum (McNeel) – Forums are a great place to ask questions. This is the official McNeel forum for Grasshopper. Grasshopper Forum (GRAPHISOFT) – ARCHICAD-Talk has a dedicated place for ARCHICAD users to help each other with Grasshopper/ARCHICAD issues. Rhino / Grasshopper Downloads – General download page for Rhino, Grasshopper, and official documentation. Grasshopper-ARCHICAD Live Connection – If you want to connect Grasshopper to ARCHICAD, you’ll need to download the Live Connection Add-on. HI Jared, could you reveal the nodes of grasshopper in the last picture? The one with the randomized little boxes? I don’t have the original file anymore. Let me know if that bigger image helps. If not, I can find some time to recreate it.